OBY Ezekwesili, the presidential candidate of the Allied Congress Party of Nigeria (ACPN) has faulted The ICIR’s fact check on her claim that from the year 2000 till date, Nigeria has never reduced the number of out-of-school children except the period she was the minister of education between 2006 and 2007. Ozioma Ubabukoh, the senior media consultant for OBY4PRESIDENT2019 wrote in response to the story on Friday that The ICIR needed to educate itself on the mathematics of numbers and rates. “Omeje and the ICIR need to educate themselves on the mathematics of numbers and rates. The rate of OOSC is the number not enrolled in school as a percentage of the population of school age kids. Rates can drop even if the absolute numbers are increasing, depending on how many more children are entering into the school-age population,” Ubabukoh said. “Let us attempt a quick maths class for Omeje and the ICIR: If there are 6 out of 9 school-age children out of school in a small town this year, and next year the number of out of school children increases from 6 to 7 while the number of school-age children increases from 9 to 11, it means that the percentage/rate has dropped from about 68% to 64% even though the absolute numbers actually increased. “Ezekwesili was clear about what she was measuring – the absolute NUMBERS – but Omeje and the ICIR were so bent on pushing an agenda that it blinded their eyes to her point. Again and again, the poor ICIR story kept repeating claims about “the percentage of out-of-school children,” and it left us all bewildered. How did the fact-checking shift from the first paragraph of the story which was talking about “numbers” to manufactured claims about percentages? “A call from the campaign to the author of the piece explaining that there is a difference between percentages/rates and absolute numbers was not enough to convince the ICIR on the wrong-headedness of its claims. That is journalism at its worst and the ICIR needs to do better. It is true that Ezekwesili did not refer to percentage in her claim in the reduction of the number of out-of-school children but there is no reliable actual figures of out-of-school children in Nigeria. Basing her claim on actual figure is misleading. And this is why. First, the UNESCO’s estimation started from 1999 to 2010. There is no record from 2011 to 2018. However, Ezekwesili’s claim is from the year 2000 to 2018. Therefore, how do we get figures from 2011 to 2018 to back up her claim? Second, the UNESCO’s estimation was based on the Multiple Indicator Cluster Survey (MICS). MICS gives a percentage of out-of-school children based on the sample population. MICS is conducted at five years interval. Third, UNESCO made an estimation that there were 10.5 million out-of-school children in Nigeria in 2010. The UNESCO’s estimation gave actual figures of out-of-school children from 1999 to 2010. However, in 2014, UNESCO reversed its earlier estimation. The new estimation now shows that Nigeria had 8.7 million out-of-school children in 2010. Fourth, The ICIR could not access the models that the UNESCO Institute for Statistics used to arrive at the actual figures from 1999 to 2010. The actual figure of out-of-school children can be gotten by extrapolating the percentage of out-of- school children from the estimated population of school-age children in the country. There are different statistical modelling which will give different figures of out-of-school children based on the percentage of out-of-school children. Fifth, since the UNESCO’s estimation stopped at 2010, the official available records are the MICS of 2011 and 2016/2017. The 2016/2017 MICS, the fifth of its kind in Nigeria, indicates that 27.2 per cent of 33, 647 sampled children were not attending any of preschool, primary and secondary school. Sixth, no other credible organisations have made projections like UNESCO did between 1999 and 2010 to arrive at the actual figures from 2011 to 2018. Therefore, to examine the number of out-school-children, the most reliable means is the percentage of out-of-school children. The ICIR’s fact check clearly showed that Nigeria recorded the highest reduction in the percentage of out-of-school children in 2007 but it was not the only time the country did so. There was a steady decrease in the percentage of out-of-school children from the year 2000 until it shot up in 2008. Seventh, it is misleading for Ezekwesili to use the estimation by UNESCO to claim achievement when the UNESCO’s estimation stopped in 2010. UNESCO even had to reverse its estimation once and arrived at different figures. Based on the available official records, the most reliable means to show the reduction of out-of-school children is the percentage. With this percentage, different figures of out-of-school children can be arrived at based on certain statistical modelling. 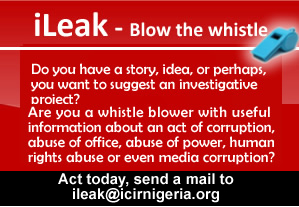 Eight, The ICIR reached out to Ezekwesili to refer it to the records that back up her claim. She replied in text message the next day, asking for an email. The email was sent to her but she never sent any email even when she was later reminded after about five hours. Ninth, if eventually Ezekwesili sends the records that back up her claim that “from the year 2000 till today – that is a period of 18 years – the only time that the number of out-of-school children in this country reduced was when I was education minister,” The ICIR will make corrections on the fact check.